The return of Jeep to Tokyo signals rekindled interest in the Japanese market by at least one of America's biggest names. TOKYO -- For the first time in nearly a decade, a Detroit automaker will exhibit at the Tokyo Motor Show. 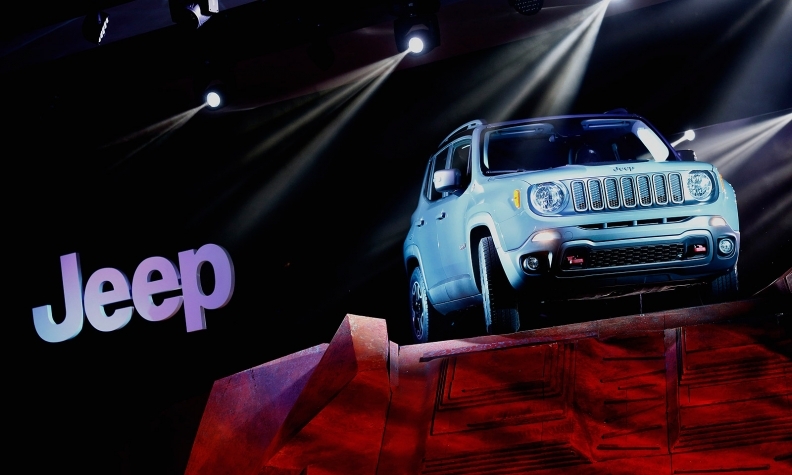 Jeep -- the best-selling U.S. brand in Japan -- will return when doors open in October. The Detroit 3 bailed on Japan’s flagship auto show after the 2007 event and haven’t come back since. They were part of a string of dropouts at the 2009 show when the economy bottomed out. Jeep last graced the stage here in 2007, when it was part of Chrysler Group. This year, it will exhibit on the stand of FCA Japan Ltd., the local Fiat Chrysler subsidiary selling cars from Alfa Romeo, Fiat, Jeep, Chrysler and Abarth. The return of Jeep signals rekindled interest in the Japanese market by at least one of America’s biggest names, even as Ford and General Motors still sit out. It is also a win for the Tokyo Motor Show, which has struggled to raise it profile amid competition from bigger shows in China. Foreign brands wrangle with a tough equation of spending money on an expensive show for Japan’s shrinking market or going big in other regional markets that are still growing strong. Beside Jeep and Japan’s domestic automakers, other brands planning to be in Tokyo this year include: Audi, BMW, Mini, Citroen, DS, Fiat, Alfa Romeo, Abarth, Jaguar, Land Rover, Mercedes-Benz, Smart, Peugeot, Porsche, Renault and Volkswagen. Organizers finalized the list this week. Jeep is the No. 7 best-selling import brand in Japan, trailing mostly such German heavyweights as Mercedes, VW, BMW, Audi and Mini. Jeep’s Japan sales rose 21 percent to 2,298 vehicles through April. Though not huge, the volume still put it ahead of the 1,625 sold by Ford, the 313 sold by Chevrolet and the 297 moved by Cadillac. Sales at all those brands were down through April. Total sales of foreign-brand imports fell 6 percent to 95,504 vehicles in the four months. This year’s Tokyo show goes futuristic with a “Technology & Fantasy” concept organizers hope generates buzz. The 44th running of the biennial show returns to its traditional late October slot after accidentally overlapping in 2013 with rival shows in Los Angeles and Guangzhou, China. The upcoming show will run Oct. 29-Nov. 8 at Tokyo Big Sight, the waterfront convention center it has occupied since 2011. Press days will run Oct. 28-29, with Oct. 29 consisting of media coverage and advanced previews for special-ticket buyers. The 2013 event attracted 902,800 visitors -- the most since 2007, before attendance plummeted with the global financial crisis. But last year’s show ran just 10 days, compared with 17 in 2007, giving it the highest ratio of visitors per day since 2005. Still, the last show was not without its hiccups. The Detroit 3 brands were no-shows for the third straight time, leaving electric vehicle maker Tesla America’s sole representative.